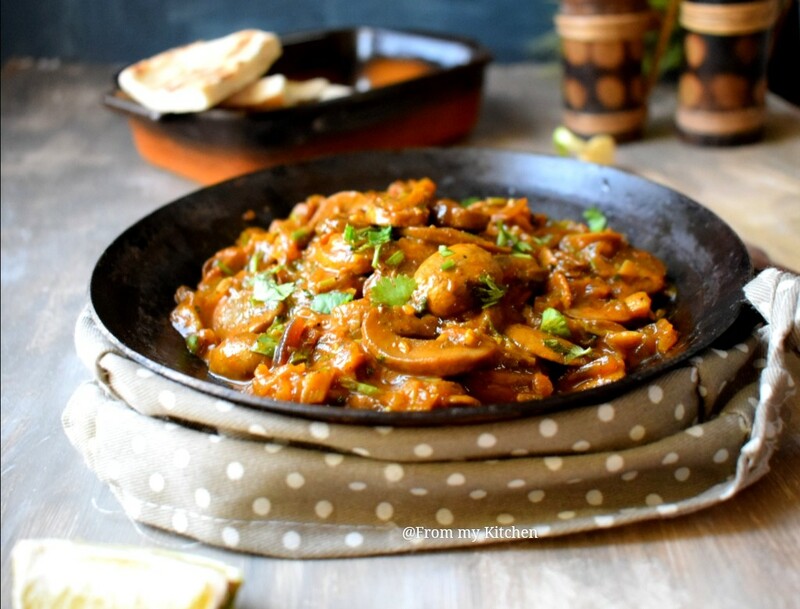 Spicy Mushroom masala with a kick of garlic and pepper with some other mild spices and onions is surely a keeper! 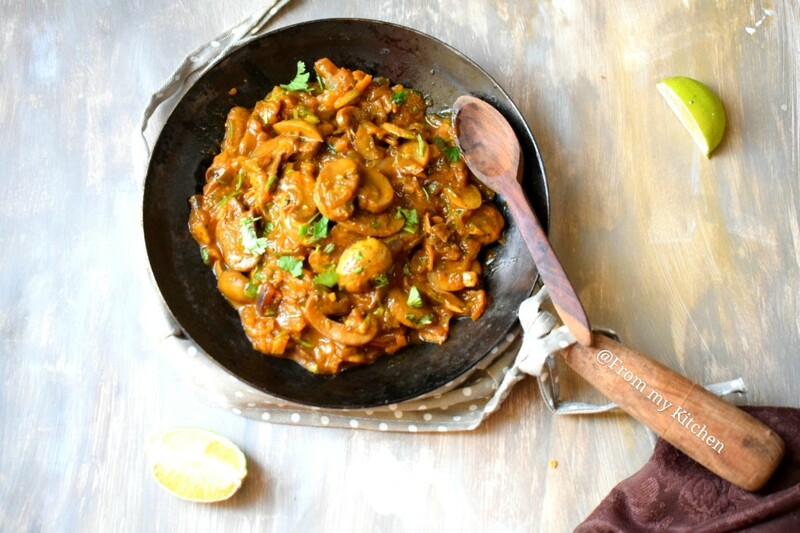 Mushrooms are packed with the nutritional value which is low in calories and are great sources of protein, so let’s include this cute little veggie in our menu! 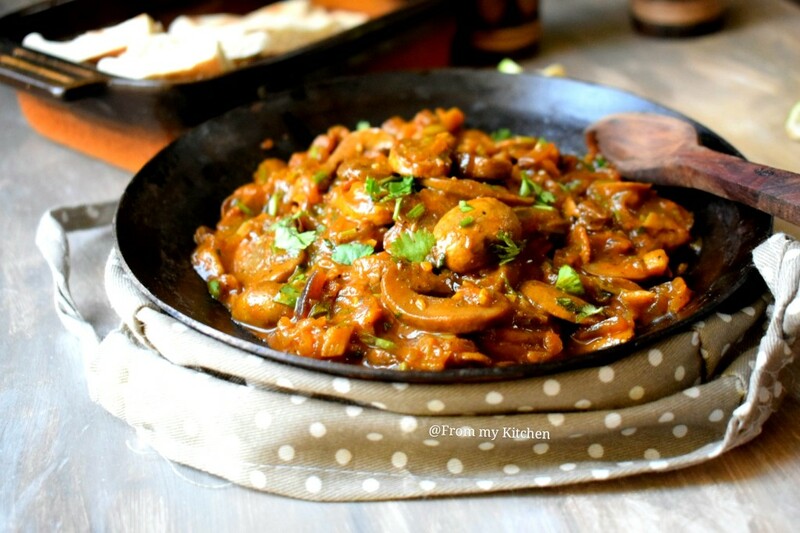 Mushrooms are those veggies that I never had from my hometown because we don’t buy it at our home. But after reaching here my hubby asked me to taste it and had it from a restaurant and felt like “ha not bad”. But still, I started cooking it recently and now I’m a big fan of it and this recipe is so good to say no! I believe that Garlic and chilly flavor really enhances the taste of any food! 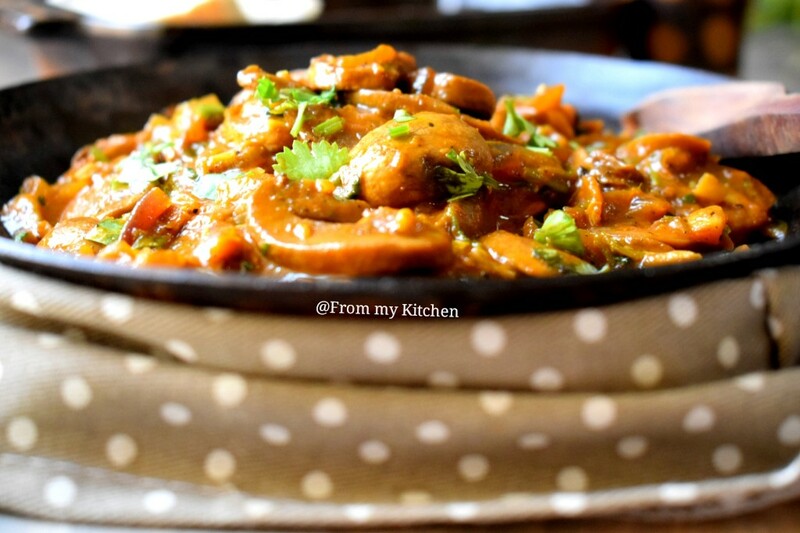 This Mushroom masala reminds me of my mom’s pepper mussel(kallumakkaya) stir fry. This will be the best pair with chapathi or puri. Then add the sliced onions and salt. 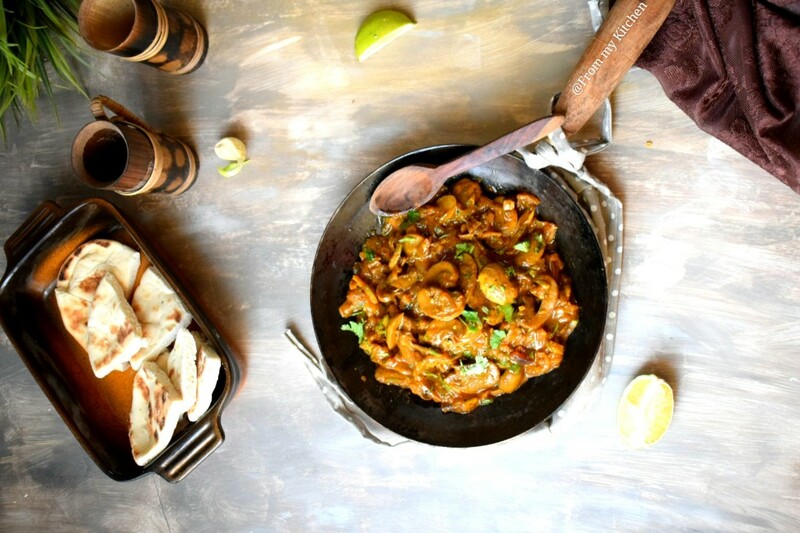 Cook it until the onions are soft and add in the turmeric powder, coriander powder. 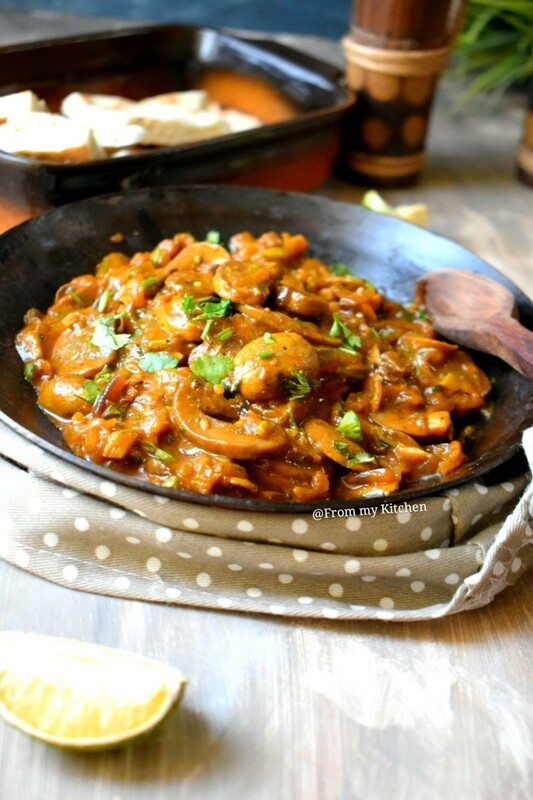 pepper and stir and cook it for 1 minute and then add the mushrooms, and toss it on high flame for 2 to 3 minutes. Then lower the flame add in some water and cover and cook the mushroom until done. I like my gravy little thicker side so added less water. 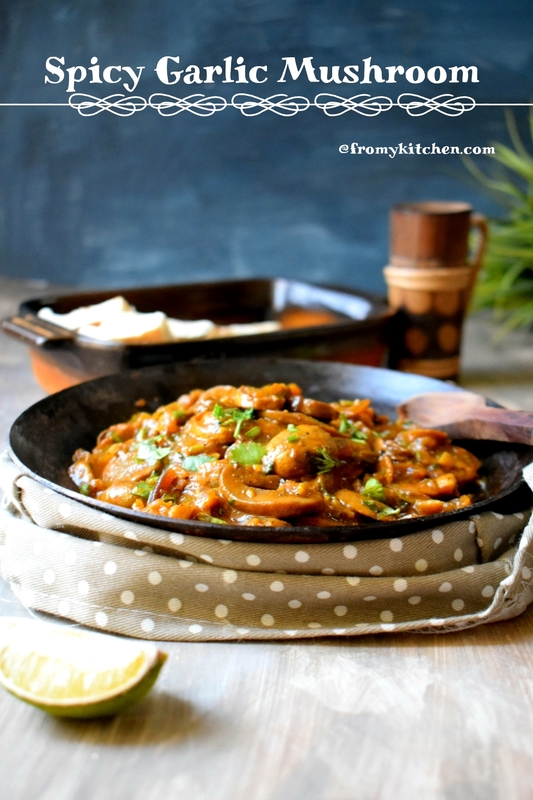 When the mushroom is cooked and the gravy started to thicken up add the butter and chopped cilantro mix well cook for 2 more minutes and wala, you are good to go! Squeeze some lemon juice too if you like to! Hope you all will enjoy this delicious gravy!